The information presented on this page was originally released on April 12, 2013. It may not be outdated, but please search our site for more current information. If you plan to quote or reference this information in a publication, please check with the Extension specialist or author before proceeding. MISSISSIPPI STATE – Mississippi’s strawberry producers may be few in number, but they deliver one of the state’s sweetest and most popular crops. Growing strawberries in the South is especially challenging because of its variable weather, like that seen this spring. Wayne Porter, Mississippi State University Extension horticulture specialist in Lauderdale County, said the strawberries struggled because of excessive rain. 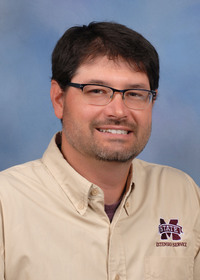 Eric Stafne, fruit crops specialist with the MSU Extension Service, said the crop’s potential is unknown, and he expects an average yield. Planting is typically done in the fall, with harvest lasting from March to June, depending on weather. 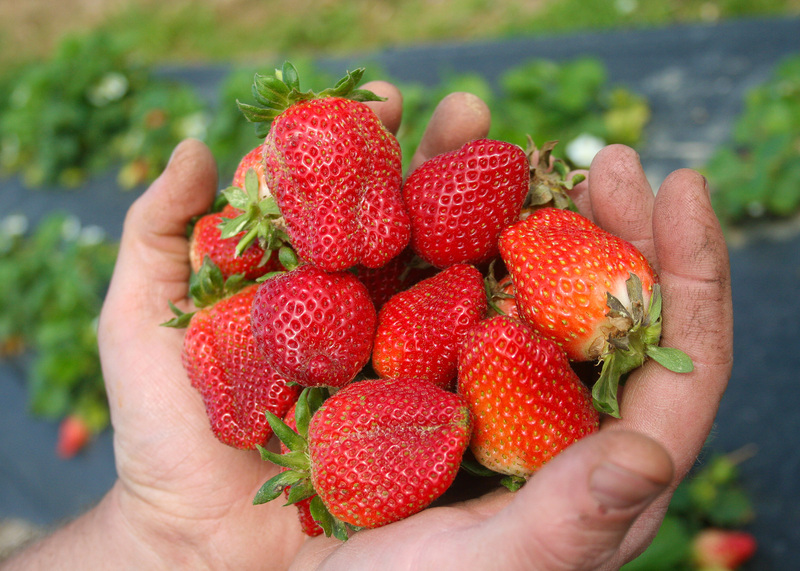 In 2012, most strawberry growers began harvesting two weeks ahead of schedule, in early March. This year, some berries are finally ripening in early April. “This year the weather has been cool, so the season is off to a slow start,” Stafne said. The cost of inputs and the labor-intensive nature of the crop keep the number of growers in the state fairly low. Two MSU graduates recently joined the ranks of strawberry growers. Jody and Brittany Reyer, co-owners of Reyer Farms in Lena, added one acre of strawberries to their truck crop operation to capitalize on the fruit’s popularity. While strawberry plants themselves can tolerate cold weather, frost can harm the crop after plants bloom. Reyer credits his wife Brittany, who has a bachelor’s in integrated pest management and is pursuing a master’s in horticulture, with keeping pest pressure and disease at bay. The Reyers have had red berries for three weeks, but they just started harvesting in earnest the second week of April. The Reyers are selling strawberries to several Jackson restaurants, at the Mississippi Farmers’ Market in Jackson and at farmers’ markets in Yazoo County. They also have on-farm sales and a U-pick program. For more information call Jody at (601) 906-1185 or find Reyer Farms on Facebook.